The Philips Fidelio L2 is the latest in this series of headphones. Compared with the X1 and X2 models, the letter L must start with a different letter. 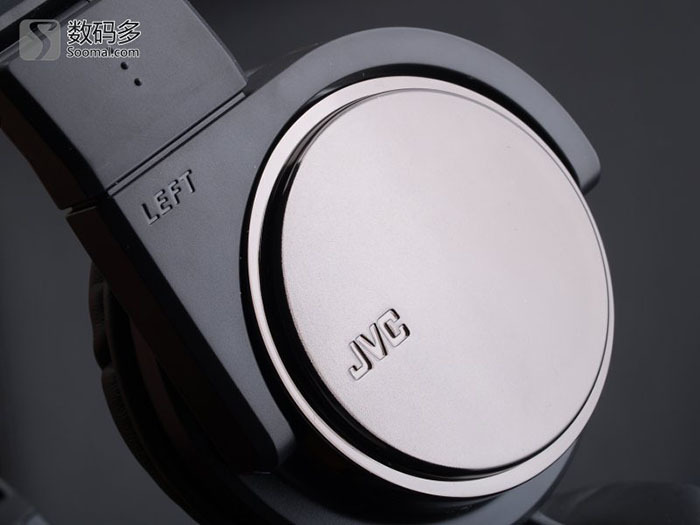 On the one hand, from the official introduction, the L series seems to be more focused on With portable equipment, the appearance not only maintains excellent workmanship, but also pays attention to the details of the embellishment, suitable for street, and in order to avoid disturbing others when leaving the street, so the headset is partially closed design, and not X1, X2 seems to be more important to enthusiasts Application, and open design. The current official pricing of Fidelio L2 is 1999 yuan. During the Fidelio X1 evaluation, we discovered Philips' intentions for this new series, especially in terms of appearance. Compared with the previous SHP series, after the S2 earphones and today's L2, Fidelio's design and workmanship are excellent. Especially today's Fidelio L2. In the Atlas article, there are a lot of comments indicating the love of this headset, we also feel the same. Philips Fidelio L2 headphones overall texture is very good, thanks to its metal material and surface treatment to bring the metal texture, but also the leather material [officially called leather] and the orange seam on the top of the head frame with the credit. L2 The head frame uses a metal flat tube [presumably a hollow aluminum tube], and the surface dark gray oxidation treatment is very delicate. The outer shell of the earphone is also made of metal [not plastic plating], and the laser printing process of the product LOGO and model can be micro It has a good performance from the lens. The LOGO printing on the leather material at one end of the head frame has a retro taste when printed on leather products. Overall, the appearance of this earphone feels really great. 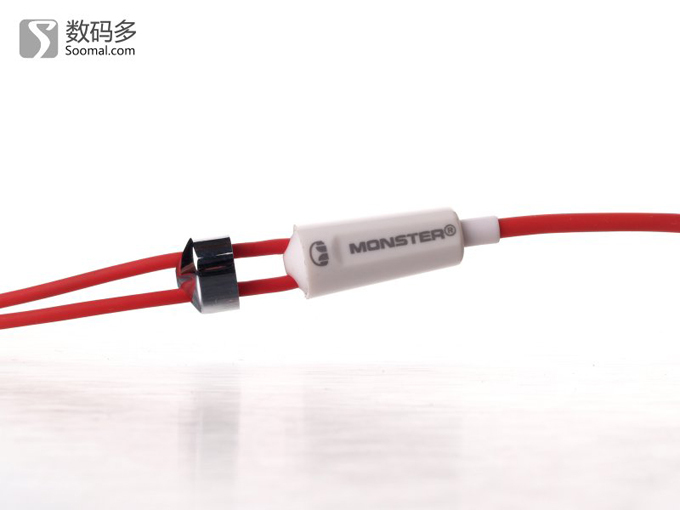 The earphone adopts the detachable 3.5mm interface unilateral cable connection mode. The 3.5mm plug length is the same as the ordinary plug. The special shape positioning and two-point convex positioning design are made at the interface to make the connection stability Guarantee. 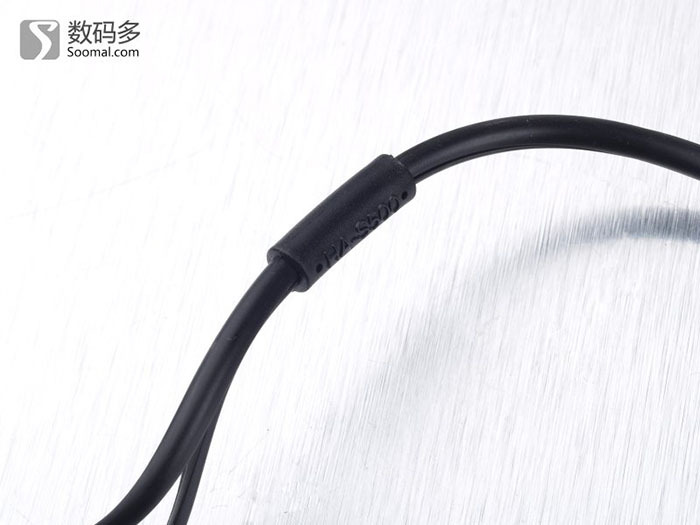 Due to the fact that the L2 headset is positioned to be connected to a portable device, the official also provides a "wire-controlled" microphone cable with a single button for answering the phone, which can be connected to the mobile phone for use. 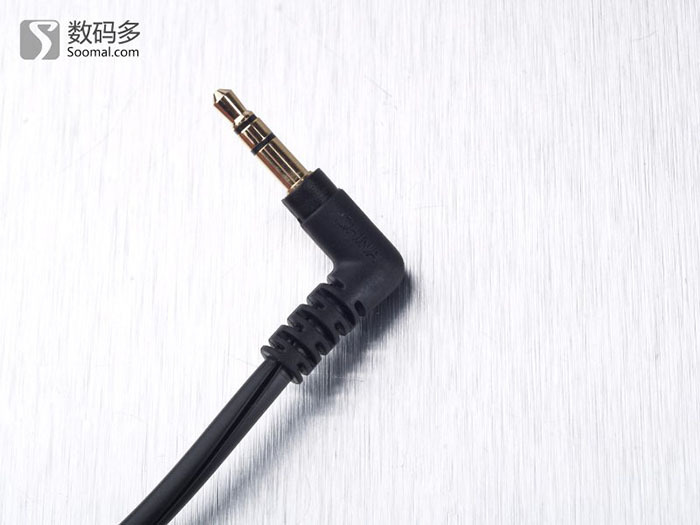 Considering the compatibility of the old definitions Mobile phones, Philips also provides an adapter for L2 headphones. The Fidelio L2 headphones use a closed acoustic design [officially called semi-open design], with a 40mm diameter neodymium magnet magnet speaker unit, the official indicator, impedance 16 ohms, sensitivity 105dB, looks like an easy to drive headphones. From the official explosion view, the rear side of the L2 speaker uses aluminum material. The back mesh structure seen from the figure has the effect of intercommunicating with the air in the cavity [but the effect is relatively small]. Although in front of the speaker formed by the ear pad portion The side cavity is flat, but the inside of the L2 speaker has been treated with a tilting angle. The tilting treatment can theoretically have better directivity to the human ear when worn. Compared with the overall tilting of the ear pad, Will play the role of compressing low frequency, but bring better directivity. The ear pad of L2 earphone uses memory foam sponge material, the relative hardness is relatively large, and the wearing is not soft enough, but the design may be more for acoustic design considerations, and the tightly rigid memory foam also makes it soundproof to the outside world. better. We have been using the headset for more than 500 hours. Although this headset is positioned with a portable audio source, we think its best state is not good enough on such a sound source. So the test source is not only the vivo X5 Max, iPhone6 â€‹â€‹Plus, Monitor 06 MX. , Paw Gold and other players outside. Also use the music state MD11 decoder and HP11 amp as a sound source for testing, send test users also want to get the effect and matching scheme under the amp. This test contrasts the earphones with the similar positioning and design of the iron triangle M50x, in addition to the AKG K167 and so on. The L2 is still a relatively closed sound style, so the open AKG K612Pro [same netizen sent Test, so compare it], K701, etc. as a simple reference. Overall impression: Although Philips prefers to position the Fidelio L2 in a portable player, it also has very good appearance and wearing characteristics, as well as high sensitivity and low impedance, but the style of the closed design makes L2 In mobile phones, portable players and even 06MX, the performance is very restrained, the sound can not be opened, the resolution is not the pursuit of the ultimate style in closed headphones, so the sound source does not sound like this. And the sound of the iron triangle M50x has to It is much looser than L2, the intermediate frequency is thicker, and the low frequency is slightly more. If you use the K701, K612 level open headphones at this time, you will not like the L2 headphones. High-frequency performance : Fidelio L2 is different in style from AKG K167, but we are here to compare their differences in high frequency and high frequency. In closed headphones, AKG's closed headphones are particularly sought after. High-frequency resolution and transients, the sound is fast and clean, but slightly stiff. The high frequency of the Fidelio L2 is rare and introverted, without edges and corners. This is also a style of closed headphones, but it seems to be rare now. The high frequency of the Fidelio L2 is difficult to show better dynamics when the sound source is not good enough, but it has excellent control under large dynamics. If you match the heavy taste setting of the HP11 amp, the high frequency of the L2 is also absolutely good. Compared with the M50x, the Fidelio L2's high frequency is more refined, but slightly darker. It has better control when the big dynamics, the sound is more restrained, and it is even easier to show some warm sound sources. Style. Of course, if you match the iPhone-level audio source, this headset is too restrained, and some are dazed. IF performance : Fidelio L2's IF performance is very neutral. If it is only used to listen to human voice, it will appear to be warm and sleek, but lacks emotion, is smooth and not round? This shows that L2's transient response is very strong both front and rear. Quickly, compared with open-type headphones, on the one hand, it is not slack, on the one hand, it is too fast. However, compared with the over-relaxed state of K167, the sound of L2 is definitely less distorted, and the dynamics are even extremely dynamic and loud. There is a good control and level. In this respect, the quality of L2 is indeed better than K167 and M50x. However, this style is not very angry except when it can match the sound source of the mobile phone. But with HP11, It will greatly increase its tension and make it better. Compared with the M50x, the M50x sounds more slack and softer, and the mid-low frequency part is slightly more sensitive than the L2. The L2 sound is more restrained. Low frequency performance : The low frequency of the Fidelio L2 headphones is very compact, the volume is not too much, the connection between the middle and low frequency parts is very balanced, the sound is solid, and there is good resolution. At this point, even better than the M50x, the low frequency relaxation of the M50x is resolved. The force is not good enough [M50x low frequency has been relatively restrained]. Of course, here is not to compare the K167 headphones. And the low frequency of L2 is obviously more difficult to push the part, although the low frequency of L2 is enough under the ordinary sound source, but this is not it The best state. This obviously introverted and compact sound makes the Fidelio L2 show a balanced and clean sound under normal sound sources and even poor sound sources. However, the low frequency at this time is probably not enough for volume and impact in popular music. .
With amp and different sound source performance: Of course, Fidelio L2 as a 2000 yuan-class headphones, the overall quality is slightly better than the iron triangle M50x, but this advantage is not enough. We use MD11 + HP11 amp as a sound source, these two The headphones will have a big boost, and the L2 boost is even bigger. The impedance of these two headphones is very low, so the Gain option in HP11 does not need to compensate for too much gain. It can be set in 3-4. Under the feedback, L2 can be set according to your taste and music type. It will have a full effect above 6 and the M50x is not suitable, because the M50x may look rough and L2 is very stable. The Fidelio L2 is a headset that can be dynamically enhanced in the state of amplified current. In the HP11, when the feedback is greater than 6, the mid-range and low-frequency textures will be significantly improved, and the dynamics will be greatly improved. The sound field and high-frequency details are also available. No small progress. Compared with open headphones, L2 has better sound control under great dynamics, very smooth and no graininess. This seems to be the common advantage of many similar style closed headphones. But it is the latest with Sony Z7. Compared with the closed-type headphones, the high-frequency resolution of the L2 seems to be still inferior. Compared with the AKG K167, the resolution is also slightly weaker. Compared with the AKG closed-type headphones, the L2 style must be more restrained, and the high-frequency has some Convergence, there will be no blunt, oyster-like feeling, but the sound field is obviously not natural enough, and the dynamic performance will not be better than the high-end dynamic headphones that can be freely retracted. Overall, the Fidelio L2 is a high-quality, head-closed headset-style headset. If you plan to buy the first fever headset for around $2,000, it shouldn't be a good choice. With many well-known Compared with the model open-type headphones, there is still a significant gap between the overall quality and the sense of hearing of L2, even if it is matched with a mobile phone. However, if it is positioned as a beautiful appearance, and the headphones that have to go out of the street, its neutral introversion Style, and relatively high quality is a rare one. Compared with the iron triangle M50x with a price of around 1,300 yuan, the Fidelio L2 also has a more balanced and clean performance. With a certain level of amp, the L2 is positioned with The same vocal recording monitor as the M50x is no problem. As for its comparison with higher-end closed headphones, such as the Sony Z7, we may mention it in the Z7 evaluation.